We all saw the smile that was painted on Ronda Rousey’s face as she strode down the entrance ramp at the WWE Royal Rumble 2018. Japanese wrestler Asuka had just won the first women’s Royal Rumble and was standing in the ring facing WWE’s top two female champions, Charlotte Flair and Alexa Bliss. 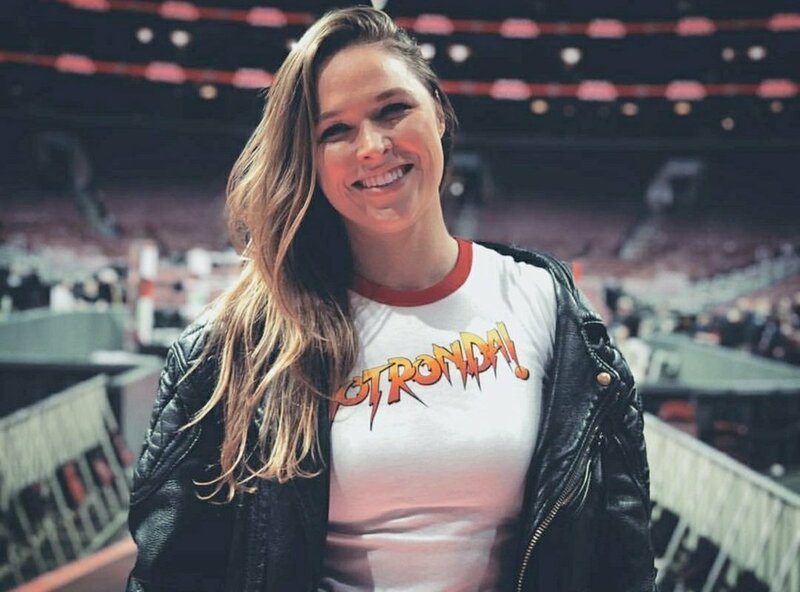 Just then, as is expected from the WWE, Ronda Rousey made a surprise entrance, wearing a leather jacket and a T-shirt as a tribute to WWE Hall of Famer Roddy Piper. Rousey’s face was full of glow with the hope and excitement of her new surroundings. The crowd from Philadelphia erupted in a loud noise of cheer as Ronda made her entrance. She entered the ring and tried to shake hands with Asuka but the latter slapped her hand away in clear defiance. Ronda Rousey’s face was full of excitement even then. This was quite different from the scene that the world saw when she lost to Amanda Nunes at the UFC 207 in 2016. Amanda Nunes had raised her hand in the victory while her opponent had her head slumped forward in defeat. Rousey’s face was pink from all the punches she had received. This was not just her second consecutive defeat in the UFC but also a transition from being the most dominant force in UFC to someone who looked like she didn’t belong in the Octagon anymore. Ronda Rousey had ruled the UFC ring in her division. She was a metaphoric wrecking ball; she certainly had the force like one. She was compared to Mike Tyson at his peak. Rousey had 12 consecutive wins at the UFC, and out of them, only three had lasted more than one minute. She had finished off her opponents in mere seconds and it was all going well for her until UFC 193 in November 2015, when Holly Holm kicked her in the head. After Holm’s kick, Rousey flailed around in the Octagon and seemed vulnerable and human for the first time in her career at the UFC. Her loss gave Holly the crown for the bantamweight division and it seemed like Rousey’s career was on the edge of ending. Ronda was nowhere to be seen after that. She dropped out of public sight with loose teeth and stitches on her lips. Her life was at a low point and she admitted to having considered suicide as an option when she appeared on Ellen in February 2016. However, she bucked up her courage and made a comeback to try and win against Nunes. But, it was quite clear that the old burning flame in Ronda was long lost. She took punch after punch and could not retreat from the attacks by Nunes quick enough. Quite soon, she was forgotten and it was a long way from her being the darling of the sport. People were quick to forget her accomplishments and the world soon forgot who she was. Ronda Rousey then appeared in movies and her status changed from being a sportswoman to a celebrity. Even then, she never gave up on being an athlete and chose a career path that was midway her sports and movie career. She was doing what she loved, just in a scripted fashion. She took on the name Piper and has appeared at the Wrestlemania alongside The Rock. She was perfect for the company, given her love for the business and her ample presence in the fighting world. The rejuvenation story of Ronda Rousey is quite admirable. Fans chant her name in the arenas. She is back in the ring and is doing what she loves. A new chapter in her story is just beginning.